The Australian Competition and Consumer Commission has announced that it will not oppose BlueScope Steel’s proposed acquisition of Fielders Australia. According to the statement, the ACCC conducted extensive market inquiries following the publication of the Statement of Issues released in December last year. “The ACCC concluded that the acquisition would be unlikely to substantially lessen competition in any relevant market,” ACCC Chairman Rod Sims said. BlueScope subsidiary Lysaght competes with Fielders in the manufacture and supply of steel coil, which are the key inputs in the roll formed product manufacturing process. BlueScope’s painted steel brand COLORBOND is well known in the market, especially in residential applications such as roofing. The Commission has determined that BlueScope does not already discriminate against other roll formers in favour of Lysaght and that there are strong economic incentives for BlueScope to maintain competitive supply to rival roll formers. “These incentives include the need to operate the blast furnace at its Port Kembla steelworks at full capacity and the greater profits it earns on domestic sales over exporting excess production,” Mr Sims said. 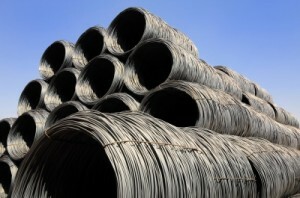 ACCC has also considered that while the acquisition of Fielders represents the merger of two of the main steel producers, customers would continue to have strong alternative suppliers. According to the statement BlueScope would likely be constrained by the threat of new entry from existing major roll formed product manufacturers and in some cases the ability of customers to use timber formwork instead of steel formwork. A Public Competition Assessment outlining the ACCC’s reasons for its decision will be available in due course.